The cities of Metro Manila have several food hubs which offer varied dining experiences for everyone to enjoy. Among these cities is Quezon City. It has several strips, centers and restaurant communities bustling with people who have a common denominator – searching for a good restaurant. 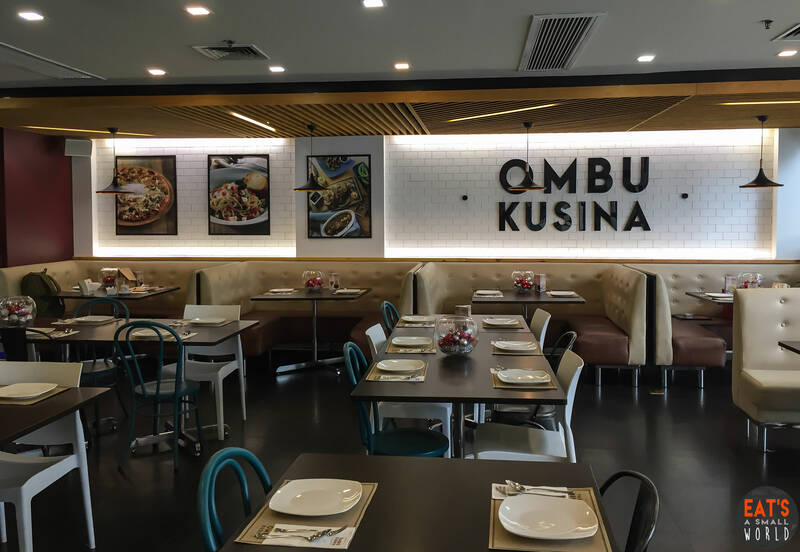 For quite some time, TEAM Eat’s A Small World (EASW) has been surveying the area of West Avenue, Mother Ignacia and Morato Streets and finally, our feet brought us to this restaurant that we are only too happy to discover – – Ombu Kusina! Team EASW has heard raving reviews about this restaurant already. 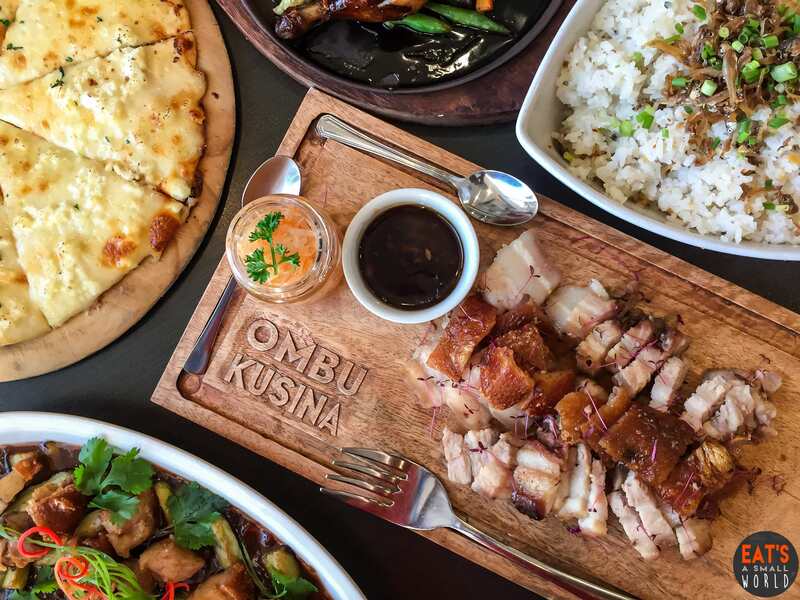 Ombu Kusina is a modern Filipino restaurant located in one of the best areas in Metro Manila. 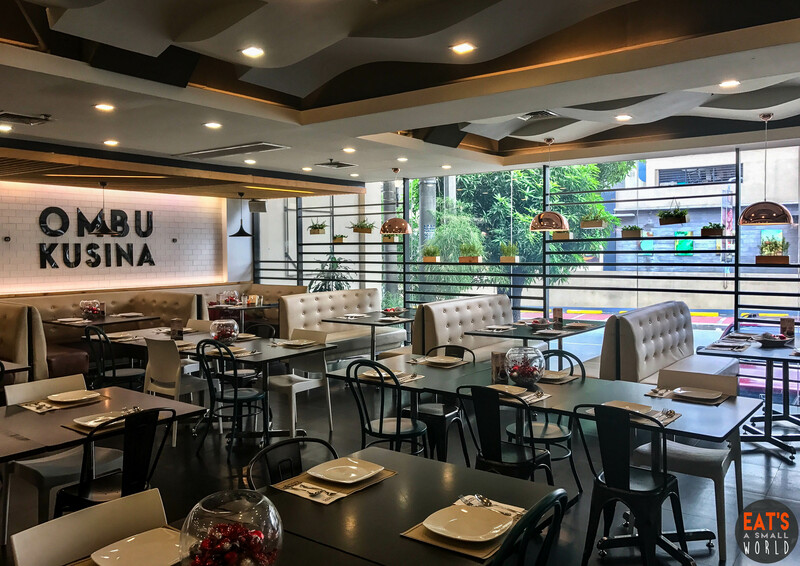 It is at the ground floor of the elegant Sequoia Hotel along Mother Ignacia St. corner Timog Ave. From the outside, one can see this amazing restaurant because of its all-glass walls where you can see its beautiful interiors. At night, it becomes more attractive and shall we say, more romantic when the lights are open. It seems to lure diners inside like bees to honey. It is cozy and beautiful! Two years ago, the humble “itlog na maalat” (salted egg) became an overnight “star ingredient” to so many dishes, like: “Salted Egg Fried Rice, “Salted Egg Pancit Malabon”, “Salted Egg Bibingka Muffins” and even “Salted Egg Potato Chips”, “Salted Egg Fish Skin” and so on. Ombu Kusina also came up with its very own “Salted Egg Pasta“! No, it doesn’t taste like pancit Malabon. It’s actually far from it. 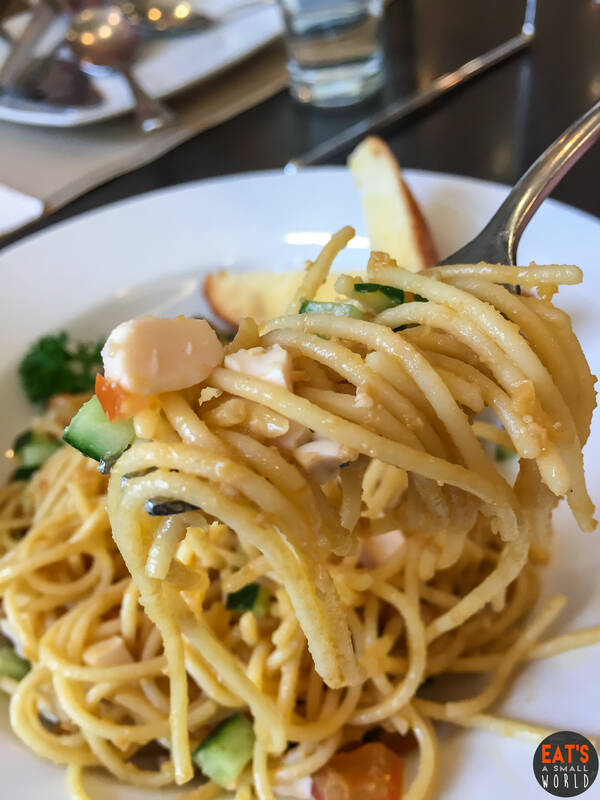 Ombu cooked this pasta the Italian way – – the spaghettini is tossed in a “golden sauce” made of salted egg yolk sprinkled with tomatoes, cucumber and salted egg whites. For those who are watching their “salt intake”, don’t worry – it is not salty at all. I too watch my salt intake and after having a bite of this wonderful creation of Ombu Kusina, all my worries were gone and soon after, my belly was full. Goodness! What happens when you combine three of the world’s most flavorful cheese in one pizza? You have an explosion of rich flavors in your palate. 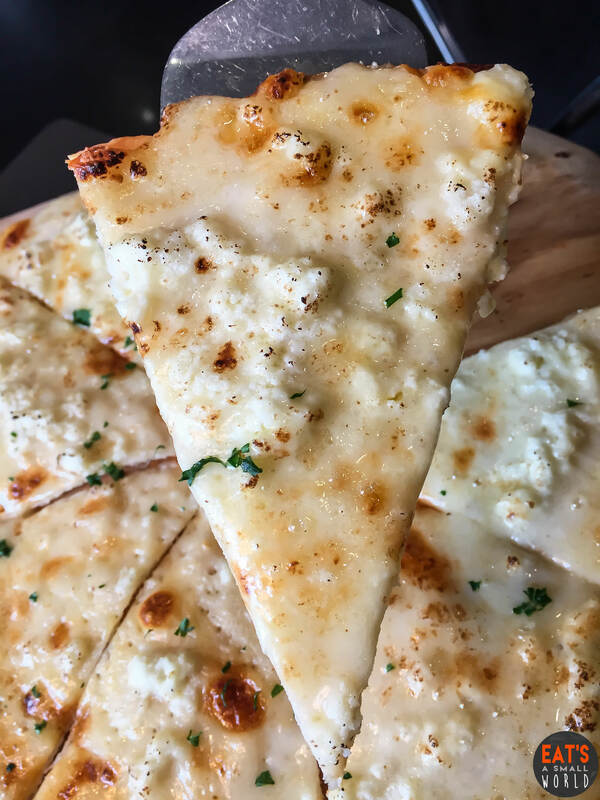 Ombu Kusina combined quezo de bola (salted “holiday” cheese), mozzarella and quesong puti (Filipino feta cheese) in this fantastic pizza. I guess there’s no need to tell you how mouthwatering this pizza is. Asians have this innate liking for “bagoong alamang” (shrimp paste). Incredibly famous dishes like the Indonesian “Ayam Betutu” (spicy grilled chicken), the Thai “Gaaeng Khiaao Waan Bpet Yang” (Green Curry with Roasted Duck and Chili) and the Malaysian “Nasi Goreng Belacan” (shrimp paste fried rice) among others, all have shrimp paste as an ingredient. Filipinos too have made so many dishes with “bagoong” in it, like “Pinakbet” (Vegetable Stew in Shrimp Paste), “Binagoongang Baboy” (Pork in Shrimp Paste), “Laing” (Taro Leaves and Pork in Coconut Milk) and so many others. 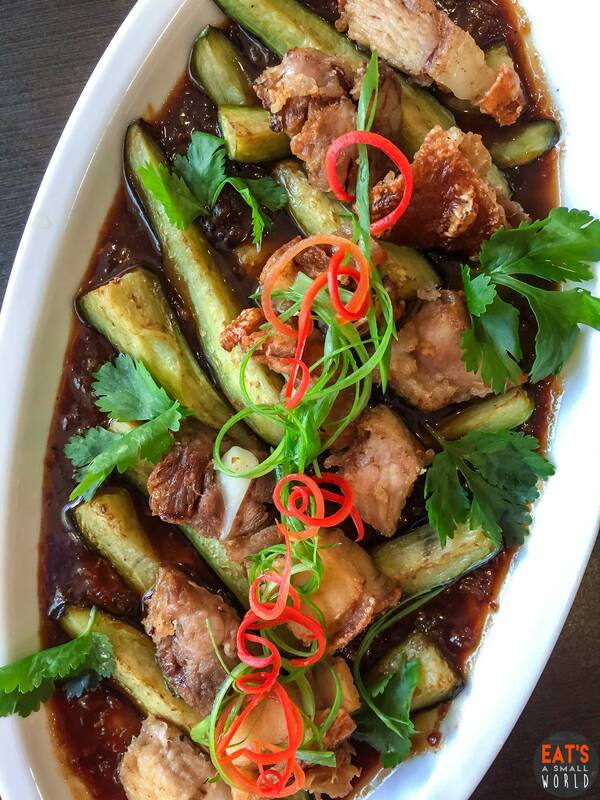 At Ombu Kusina, they have “Binagoongang Talong” – fresh eggplant with crispy pork belly mixed with shrimp paste that has a very gentle hint of sweetness to it. Oh this one is a real “star” in Ombu’s menu! Because it is shrimp paste-based, it is best with rice and when you get a bite of the eggplant with a bite-sized pork belly and shrimp paste sauce…OMG! This dish alone and a serving of rice is enough to complete your day. It is just delicious! Can you see the high quality rice on the picture? 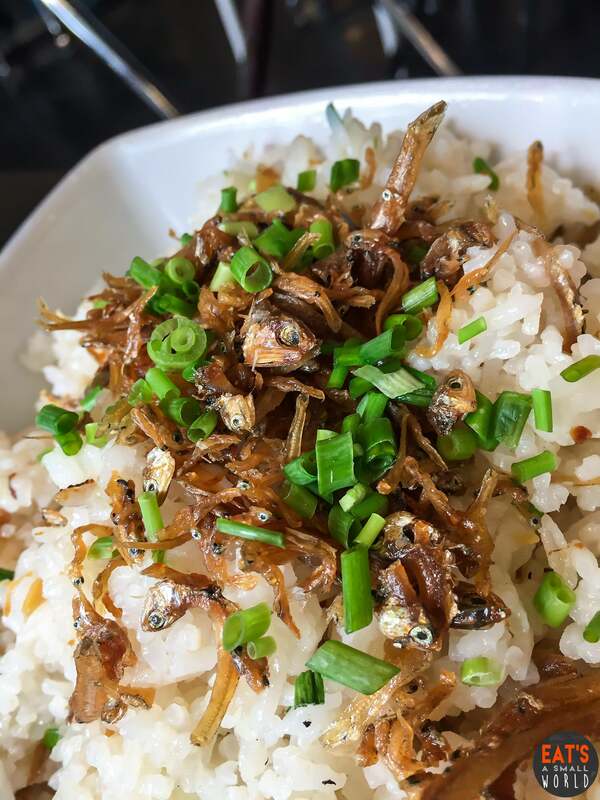 We purposely chose this picture so you will know why this “Dilis Rice” (dried anchovy) is special. Need we say more? 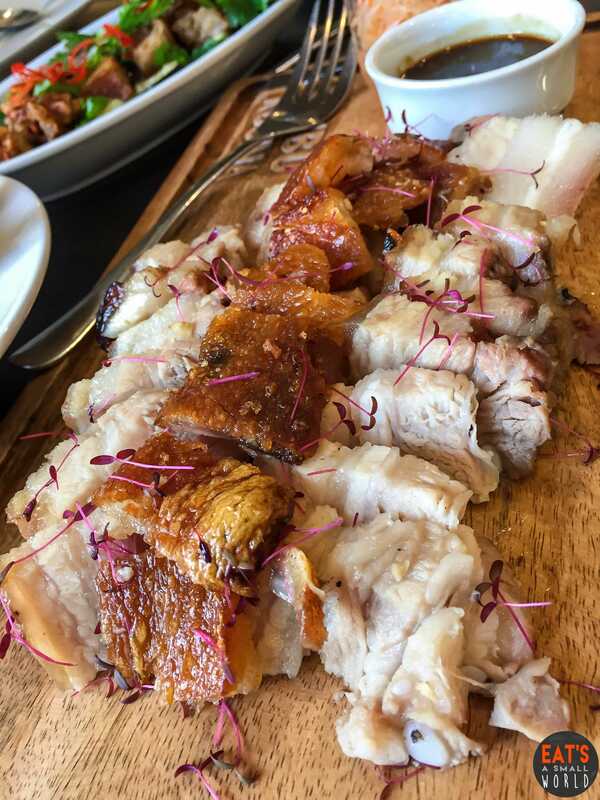 They say that no Filipino feast is complete without lechon. Aware of this unwritten rule, Ombu added this to their menu and made some innovations to make it their very own. Alas! They’ve created this delicious Adobochon that’s slow roasted for 3 hours. 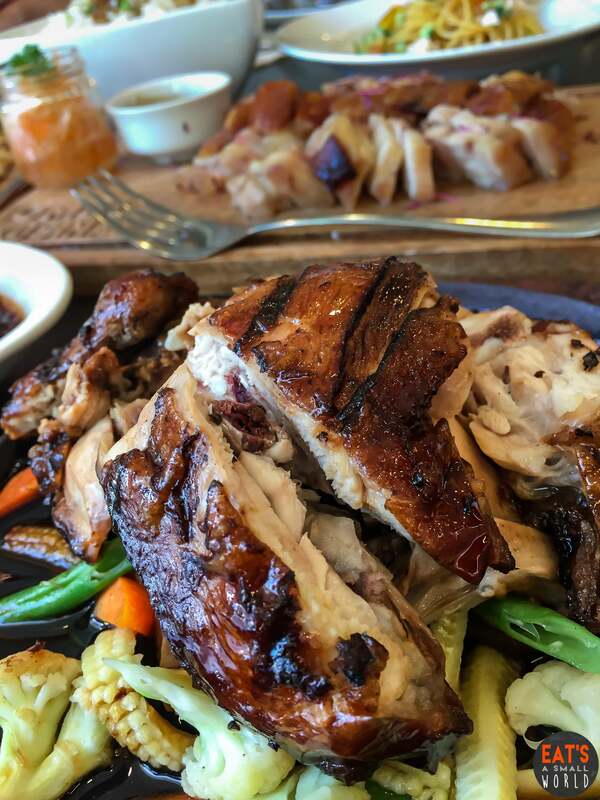 We can actually taste the hints of ginger, garlic and tanglad stuffed inside the lechon. 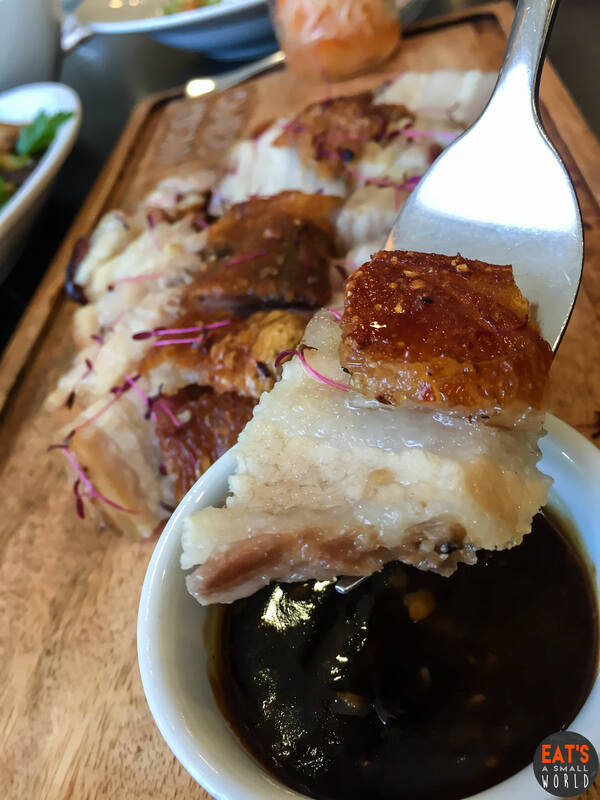 Just take a look at that crispy pork skin! Make sure to dip each bite with the homemade adobo sauce with sukang Ilocos. Sarap! Originating from the Bicol region, Laing has conquered the entire country with its very simple ingredients and style of preparation. 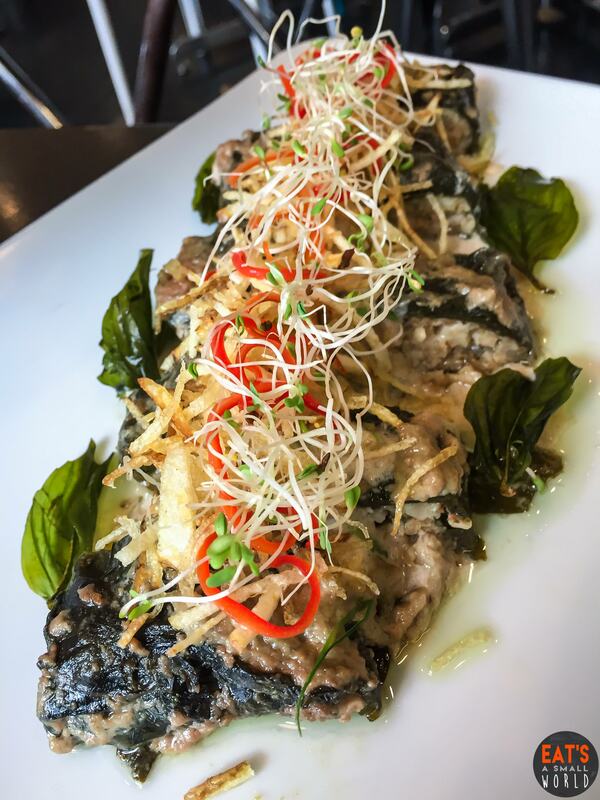 Dried taro leaves are sauteed and then mixed with spicy rich coconut milk. It is so simple yet the flavor is truly delicious that it has become the favorite of so many. I almost finished this entire serving – promise. It’s so light to the tummy (remember, it is made only of taro leaves). “Laing” perfectly matched with “Dilis Rice“…what more can I ask for? This is Ombu’s piece de resistance! It is probably one of the most tender chicken dish we have ever tasted – and one of the most delicious ever. Just imagine, this chicken was cooked sous vide for 6 hours, poured with special BBQ sauce and served on a sizzling plate. The overall presentation was fantastic! 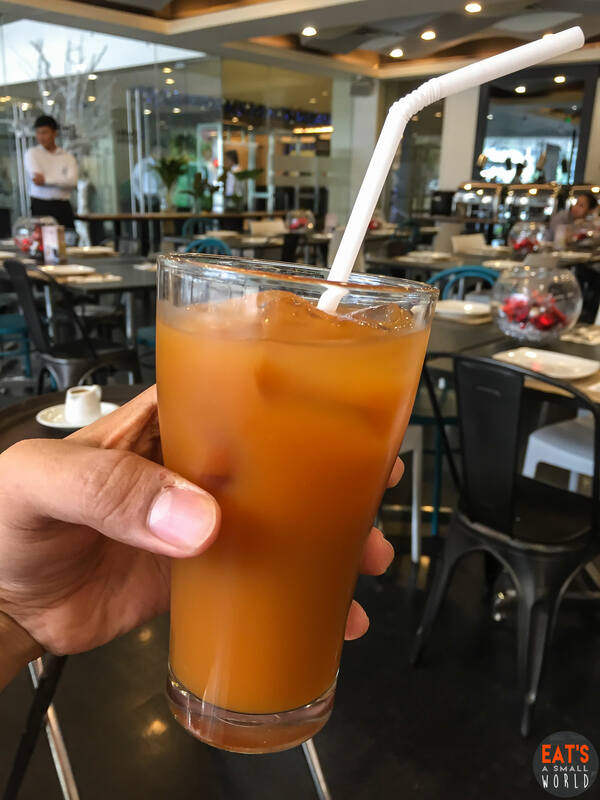 Iced tea is just OK. We requested for a glass of ice to neutralize the sweetness. 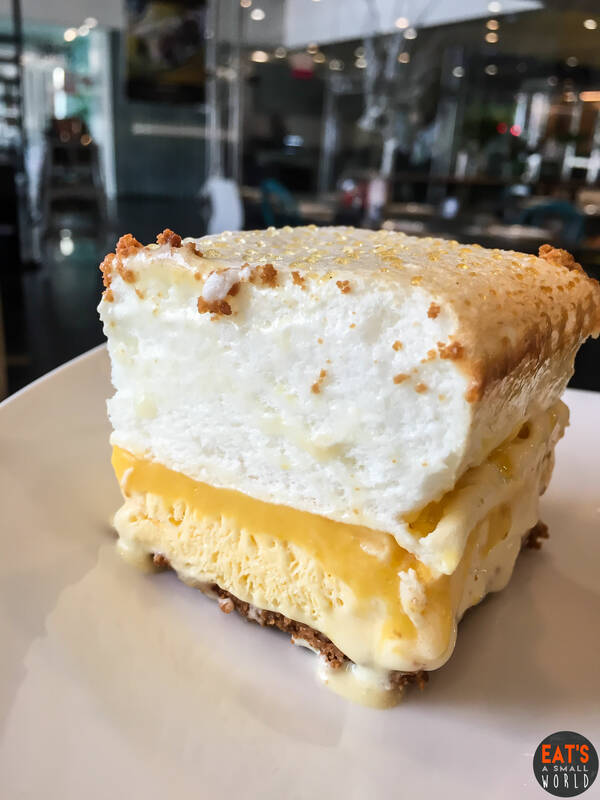 Layers of soft meringue, custard, ice cream and graham cracker crust…undeniably, a heavenly dessert to wrap up your Ombu Kusina culinary excursion! 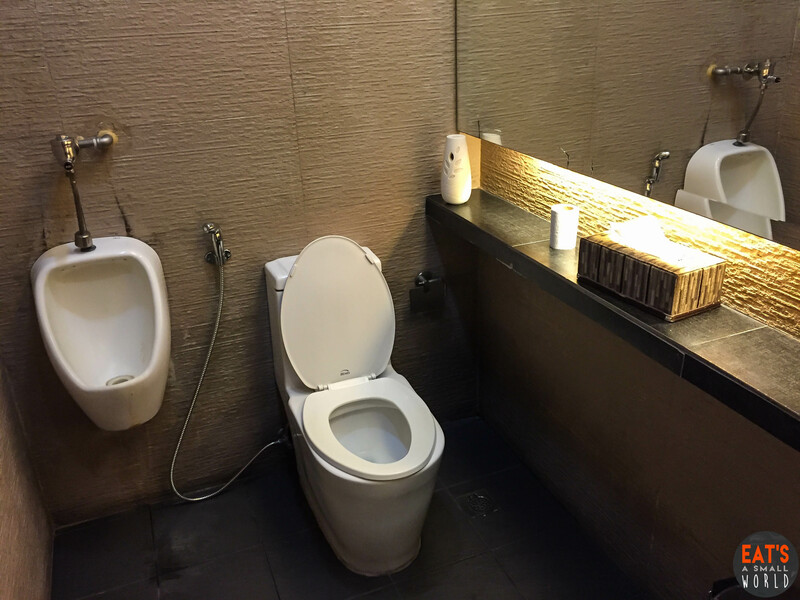 …and as always, we at Team EASW, not only review the restaurant and its food and service but also the most intimate part of the restaurant. Yes, we do this because most of the time, the entire experience gets spoiled by unkempt johns. 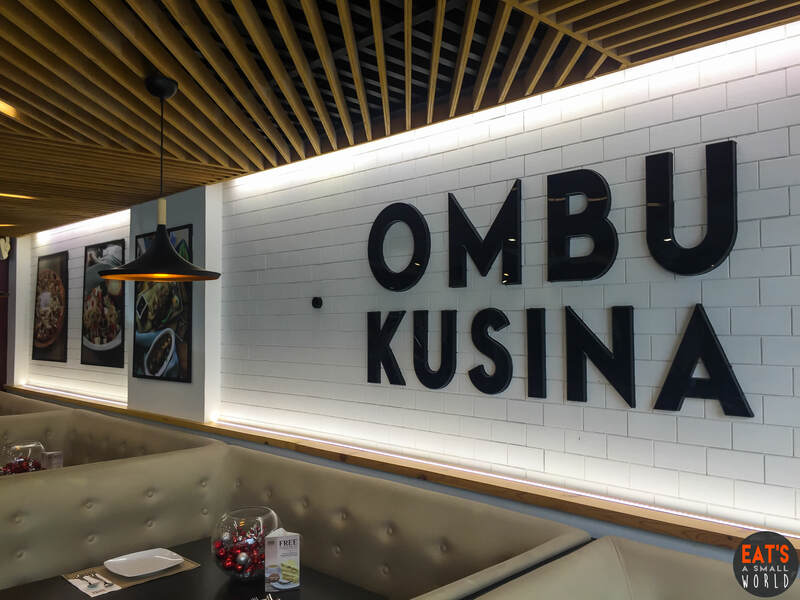 In Ombu Kusina, we are happy to inform you that it is clean and pleasing to our senses. Kudos to Ombu! 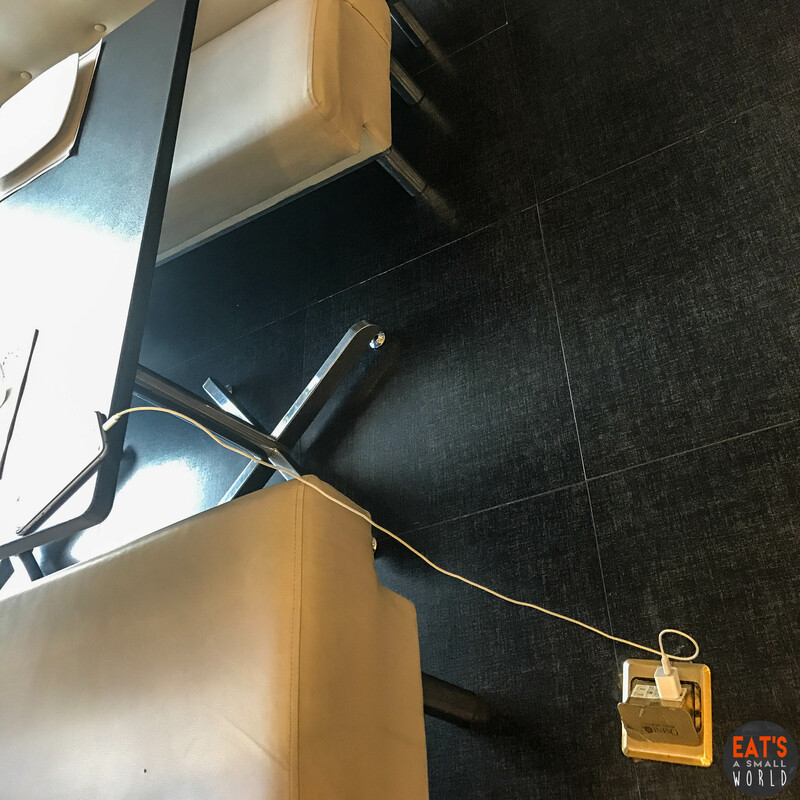 This is an added feature that is certainly most welcome to everyone – a floor socket so customers can charge their gadgets without asking the staff if they have such features. This is definitely a plus factor! You must be wondering what Ombu is and why was this restaurant named Ombu. Well, Ombu is actually a South American tree. Now, how a South American tree was fused into the name of a Pinoy resto is best asked to their friendly food servers who would only be so happy to answer your questions. That’s what we did and it got the ball rolling. Finally, do we recommend this restaurant to you? It would be a resounding YES! The waiters are friendly and efficient, the ambiance is clean and beautiful and most of all, the food is EXCELLENT! Bring your family or friends with you. You will definitely want to share their delicious food with a loved one.